New Delhi : In 2016, the Union Sports Ministry passed a resolution to transfer sports from the State List to the Concurrent list. The reason given for this was to enhance India’s position in sports globally, especially because India had performed poorly in the 2016 Olympics. When India performs poorly in sports, the government takes actions aimed towards improvement. My question is why doesn’t the government think in a similar manner when it comes to agriculture? India has witnessed several droughts in the last few years. In 2014, as many as 5,650 farmers committed suicide. Between 1995 and 2014, the numbers of farmer suicides go as high as 2,96,438. A lack of rainfall has reduced food grain production significantly. These figures are enough to prove that India is going through a severe agrarian crisis. State governments are responsible for this situation to a great extent. 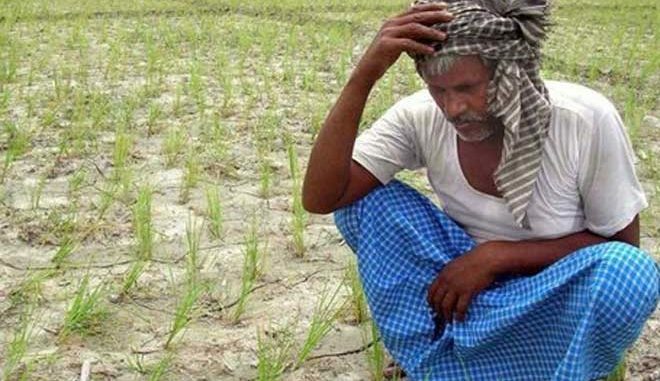 Despite their claims of being farmer friendly, the ground reality for farmers involves living a debt-ridden life and ultimately committing suicide. State governments then blame the Centre for not having transferred enough funds and playing party politics. The Centre, on the other hand, puts forward the argument that states have not made proper utilisation of the funds. Thus, the blame game goes on and on. The problem is that the government’s mindset towards agriculture is fallacious. Production remains the only parameter to measure agricultural growth. Improving productivity remains the only solution to increasing farmers’ incomes. Punjab is having one of the highest agricultural productivity in the world but farmers are still committing suicide there. The cost of production has increased while the selling price keeps going down. This way, increasing their incomes is going to remain an impossible dream for farmers. Meanwhile, policy formulation is done without consulting farmers, food policy analysts or agricultural experts. Such policies do not work out in the interests of the farmers. For instance, the Pradhan Mantri Fasal Bima Yojana is helping insurance companies make huge profits on the back of farmers. The policy has been framed in collaboration with insurance companies in such a way that a unit is equivalent to an entire group instead of the individual farmer. As a result, many farmers are not receiving their due compensation in spite of a premium cut. In some cases, premiums are deducted without the knowledge of farmers themselves. The government needs to realise that the current industry-oriented growth model being followed is going to get us nowhere if agriculture is ignored. Economists argue that since agriculture accounts for less than 17% of the GDP, it shouldn’t factor into growth. But this line of thinking is disastrous, not just for the agricultural sector but the economy as a whole. No doubt the government has tried to bring technology to the farm by means of various initiatives and schemes but India does not even spend 1% of its GDP on agriculture research and development. What is most urgently needed is the formulation of a National Agriculture Policy. Cooperation between the Centre and the state is also a must in order to stop the blame game. What needs to happen is a transfer of agriculture from the State List to the Concurrent List so that both the Centre and the state can come to the aid of farmers instead of shirking their responsibilities. I used to be suggested this website via my cousin. I’m not certain whether or not this publish is written by him as no one else know such specified approximately my difficulty. You are incredible! Thanks! It’s amazing to go to see this website and reading the views of all friends about this post, while I am also zealous of getting experience.